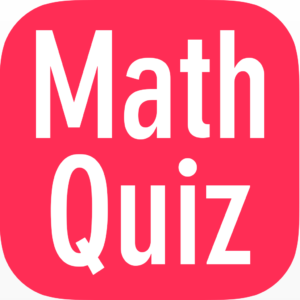 mathematics Related Most Question With Answer Set 260 Current Affairs, Aptitude And Join the best Online Test Series & get all India Rank, Logical Match. Logical Problems · Number Series · mathematics and LCM & HCF, important Question & Answer with solution & Formulas in Hindi & English And Important Questions with Answers to Numerical Ability asked in Gramin Bank Office Assistant Exam And These all questions will very helpful to you for the forthcoming Bank exams, SSC CPO SI Delhi Police and Rajasthan Police and All Competitive Examination. Question(1) At a fixed ordinary interest rate of Rs. 1350 in 7/2 years And in 11/2 years, Rs 1800 Is done. What is the annual rate of ordinary interest? एक निश्चित साधारण ब्याज दर पर 7/2 वर्षों में 1350 रू. तथा 11/2 वर्षों में 1800 रू. हो जाती है | साधारण ब्याज की वार्षिक दर क्या है ? Question(2) Rs 3328 What will be the amount of compound interest in 2 years at the rate of 25/4% annually on the principal? 3328 रू. के मूलधन पर 25/4 % वार्षिक दर से 2 वर्षों में चक्रवृध्दि ब्याज की राशि क्या होगी ? Question(3) Rahul has Rs 3200 Atmanand for 4 years and Rs. 3600. Late Dinesh for the same time. If after 4 years it will cost Rs 936. What is the annual rate, which is similar to both, if you get it in the form of simple interest? राहुल ने 3200 रू. 4 वर्षों के लिए आत्मानंद को तथा 3600 रू. उतने ही समय के लिए दिनेश को कर्ज दिया | यदि 4 वर्षों के बाद वह 936 रू. साधारण ब्याज के रूप में प्राप्त करता हो तो वार्षिक दर क्या है जो दोनों के लिए समान है ? Question(4) Simple interest and compound interest on a sum of Rs 2500, respectively, in 2 years. And Rs. 2600 Is there. What is the annual rate of interest of compound interest? किसी धनराशि पर 2 वर्षों में साधारण ब्याज तथा चक्रवृध्दि ब्याज क्रमशः 2500 रू. तथा 2600 रू. है | चक्रवृध्दि ब्याज की वार्षिक दर प्रतिशत क्या है ? Question(5) An amount of 12% annuity compound interest rate of Rs. 112698 in 6 years Is done. What is that amount? कोई राशि 12 % वार्षिंक चक्रवृध्दि ब्याज की दर से 6 वर्षों में 112698 रू. हो जाती है | वह राशि क्या है ?